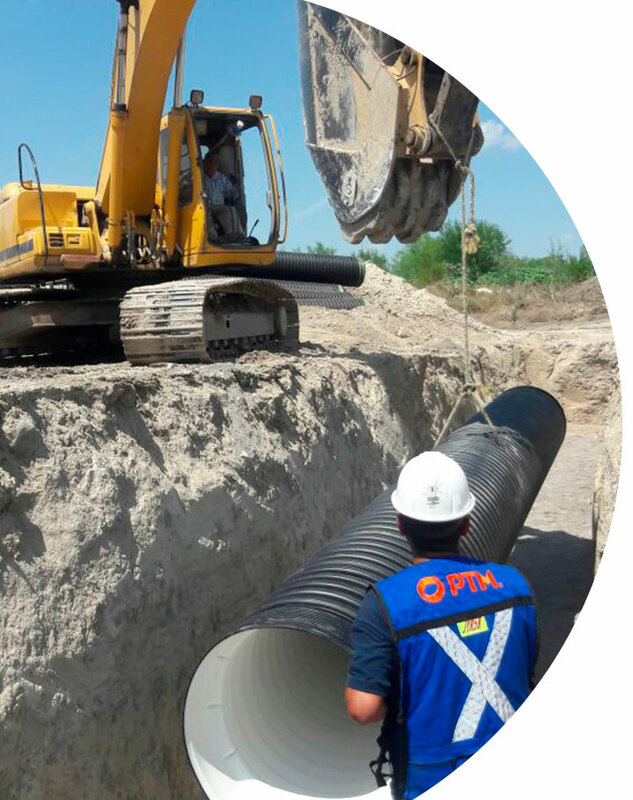 At PTM, we have highly trained personnel for carrying out various services. Joint seal testing in Sanitary and Storm Drain Systems in accordance with Standard NOM 001 CONAGUA 2011 in diameters ranging from 4” – 60”. Product presentation to distributor and clients . On site pipe installation trainning . Repairing Corrugated HDPE pipes in diameters ranging from 30” a 60”. Termofusion in HDPE Smooth wall pipe.